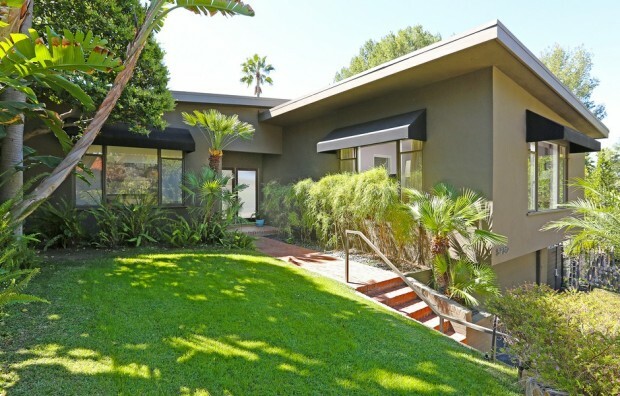 Designed by notable architect Maurice L. Bein in 1962, this stylish mid-century modern radiates with form, function, sharp lines, and Beachwood Canyon views. 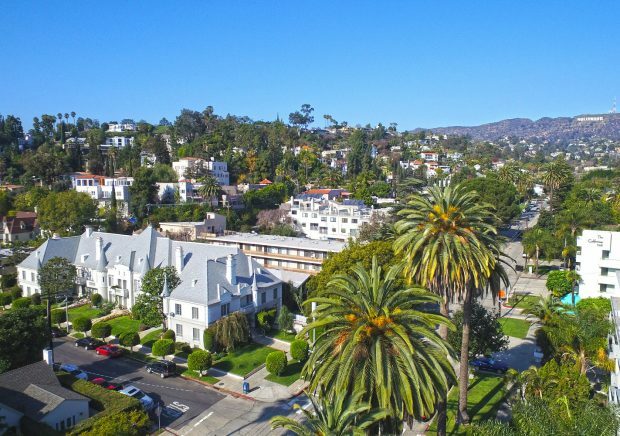 Built in 1937 by Warner Brothers Studios to accommodate their rotating stable of actors and artists, the Chateau Beachwood is a 10-unit French-style complex is located between Franklin Village and the iconic Two Stone Gates entrance to Beachwood Canyon. 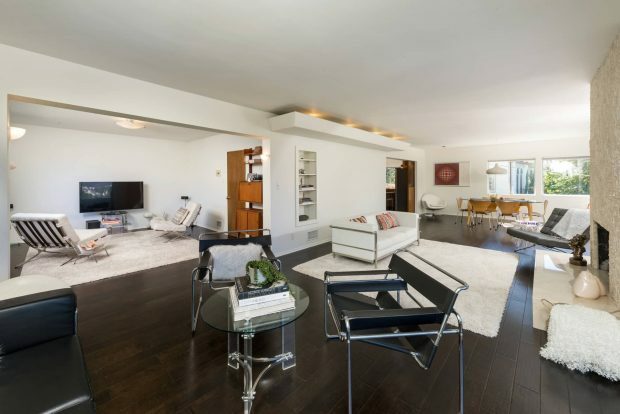 On the market for just the second time ever, and located high above the great 101 Coffee Shop, 6261 Primrose Avenue is a masterclass in late mid-century modern design. 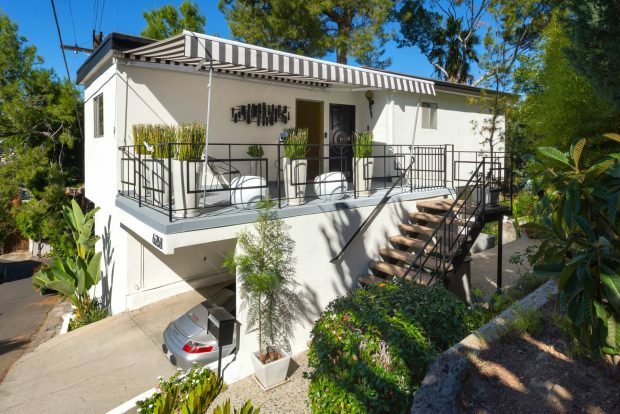 The two bedroom home is perched floating in the Hollywood Hills and combines city and canyon views, a stylish open floor plan, and a great groove. For Franklin Village fans, the home could not be better located. Nearby establishments and hotspots include Upright Citizens Brigade Theatre, La Poubelle Bistro, The Oaks Gourmet Market, Bourgeois Pig, Tailwaggers, and Birds. And nature lovers may also rejoice: inspiring hikes and walks are certainly in store for the home’s next owners, as its just a stone’s throw from Lake Hollywood and Griffith Park. And, last but certainly not least for parents, this mid-century gem is inside the coveted Cheremoya Elementary School District. Join us at our Open House this Sunday, December 2nd 1-4pm. 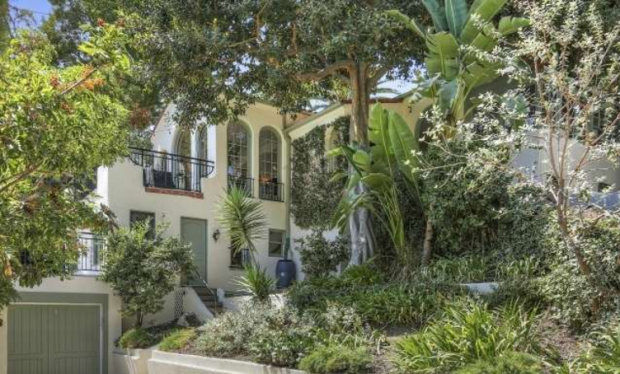 For Lease: Hollywood Hills French Normandy Cottage – $5,500/mo. This gorgeous French Normandy cottage is located in the Hollywood Hills. 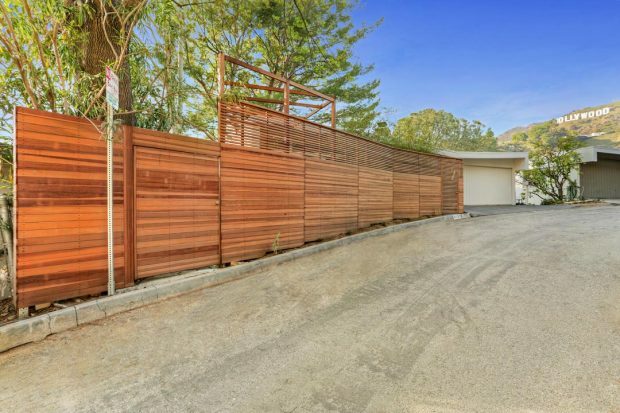 Near Franklin Village, Griffith Park, and Brush Canyon, 2256 Bronson Hill Drive is near enough to hiking trails and shops and restaurants, yet peaceful and removed on its quiet tree-lined street. I mean, talk about lush and verdant landscaping! 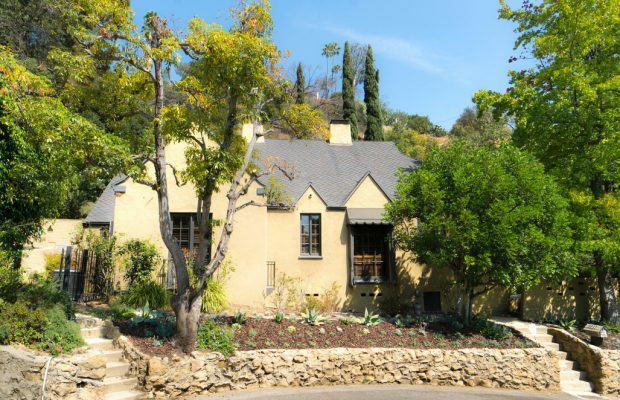 I’m thrilled my clients were able to purchase this romantic hillside Spanish-style home in the Hollywood Dell neighborhood! This private hideaway has sweeping canyon views and is just minuted from the Hollywood Bowl, the perfect place to be during Summer in Los Angeles. The sophistication and grace of mid-century modernism is a timeless aesthetic, yet the priceless style can become deteriorated or destroyed due to neglect or misguided renovations. The team at Marmol Radziner, who meticulously restored this mid-century home in the coveted Oaks enclave in the Hollywood Hills, have reinstated and reinvigorated the style and taste of some of Southern California’s most famous mid-century residences by master architects such as Rudolph Schindler, John Lautner, and Richard Neutra.